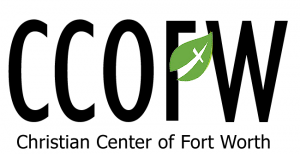 Weekly the Leah Vanzant Community Life Center serves our community free groceries every Tuesday and free clothing every Wednesday, from 9:00 until 11:00 AM. We currently service about 360 families on a weekly basis, with our list of clientele well over 2,000 families. We also service families throughout the week as the need arises. The LVCLC is open on Tuesdays and Wednesdays to serve the underprivileged in the Haltom City/Fort Worth area. Through donations and partnerships, we provide food and clothing on a weekly basis. Volunteers are needed to serve in preparing and giving groceries, sorting, hanging and giving clothing, set-up, clean-up, etc. Those with a desire to help the hurting will find fulfillment in this area of ministry. The last Friday before the fall semester of school, we provide free school supplies for all who signed-up during the Summer Lunch Program we supply. When the children sign-up, we ask them for their favorite color and their favorite character (Barbie, Power Rangers, etc.) We obtain all their school supplies that are required by the school district, along with a backpack to carry them in. We try to personalize each child’s backpack and supplies by providing them with their favorite color and/or character they had requested. This is provided around Halloween, and consists of a carnival type atmosphere. It includes a cake walk, several different booths (pop the balloon, go fishing, etc.) for the child to win prizes, food and drink, big Moon Walk, entertainment, etc. As at any carnival, tickets are used at each booth. All tickets are provided free. On Christmas Day from 11:00 AM until 1:00 PM we serve a free luncheon. The day begins with Mr. And Mrs. Santa Clause arriving on a Haltom City Fire Truck. Once in place, they give out free gifts to every child in attendance. We also offer free groceries, clothing and winter coats. Free showers are offered and hot meals are delivered to shut-ins. In 2016, over 1000 meals were served and toys given. What happens every year for Thanksgiving and Christmas.